The Grand C4 Picasso boasts the longest wheelbase in its class, ensuring plenty of room for all 7 occupants. There’s 645 litres of boot space ready for anything be it the shopping or weeks away. Safety as with all people carriers should be paramount and this car has achieved a 5-star rating for safety. The petrol engine is 1.6 however the diesel versions are the ones to go for offering up to 74mpg. There is a 2 litre diesel which is the quickest however fuel return is not as impressive. 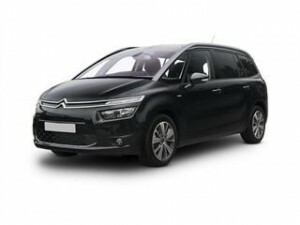 The space generous Citroen Grand C4 Picasso is widely regarded as being value for money however further savings could be had. The experienced deal experts at Coast2Coast Cars have years of experience in finding great offers on the exact spec and model of car you enter into our online form, it’s that simple. Spending 2 minutes now filling in our quote form could save you thousands. What’s more we can even help with finance too as we work direct with Citroen dealers. We are free and you don’t even have to take up the deal offered once we have found your exact car match. Finance is subject to status.